Eliminate the need for time intensive manual digging with one call. For industrial excavation and accurate site preparation in and around Victoria, trust the experts at Save-On Septic Services. 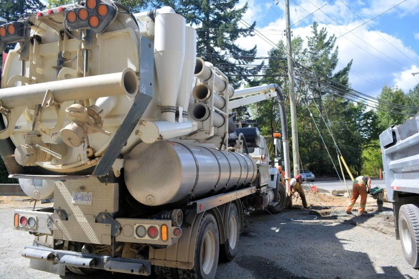 As part of our hydro excavation capabilities, we provide our trusty water and air vacuum equipment for residential, commercial and industrial assignments. We can assist you with a multitude of projects. Whether you’re conducting a winter dig or you’re laying sub-surface utilities, we have the resources to save you time and energy. Hydro excavation is ideal for a variety of applications including pole installation and landscaping projects. 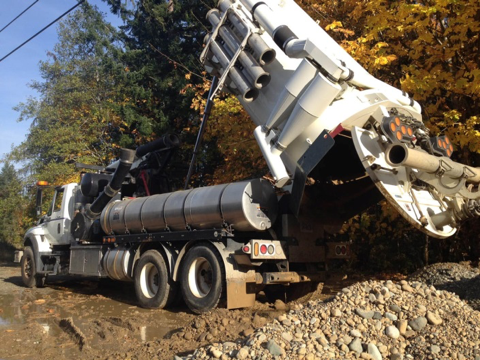 Let us be your excavating problem solver with our qualified hydro excavation know-how. 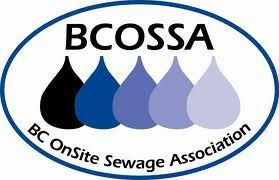 From line flushing and utility locating to catch basin cleaning, we can advise you on the best approach to take. Get in touch with us for a more detailed discussion of your specific needs. Phone 250-474-7867. Call or send us an electronic message at your convenience.